I’m either getting old or conventional, ‘cos I bought something I said I would never have enough time or space for: a turntable. I won’t forsake my beloved MP3s, but there are somethings you just can’t get electronically. One of them being the 1981 Stampfel & Weber album “Going Nowhere Fast”, which I snagged from Etsy from a west coast seller. The more you have invested in your system, the more confirmation bias tells you it sounds better. Vinyl is the record industry’s last-gasp attempt attempt at relevancy, because you can’t home-cut your own discs. As there’s always analogue loss in ripping from vinyl, it’s self-policed rights management by the sound quality snobs. Imagine that: DRM conditioned into the listeners themselves! 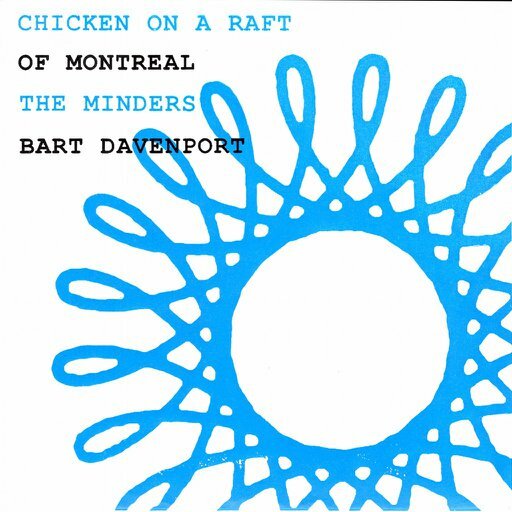 Ghetto Kitty Island Split 7″ – featuring Chicken on a Raft, Of Montreal, Bart Davenport and The Minders. which records 900 seconds of audio at DAT quality to the file ghettokittyisland.wav, while showing a simple text meter on the screen.